This is a 2 Pin Du Pont cable with female female connectors on either end. Wave 4 Pin Du Pont to Male Separate This is a very versatile jumper wire, from 4 Pin (Du Pont 2.54mm) to separated Male pins. 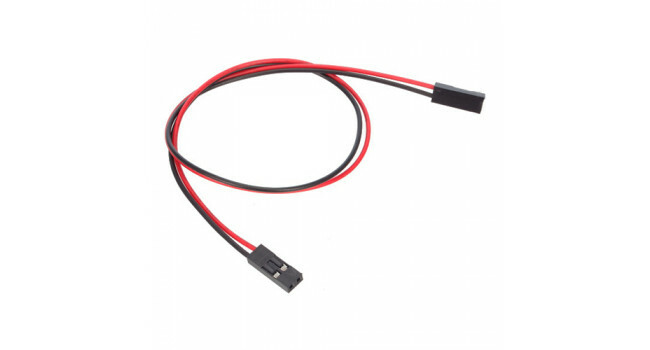 quick Spec Connector: Du Pont 4-pin female connector on one end..
Resistor 10K (50 Pack) We sell our 10K Ohm Resistors in a pack of 50. They have a 5% tolerance. 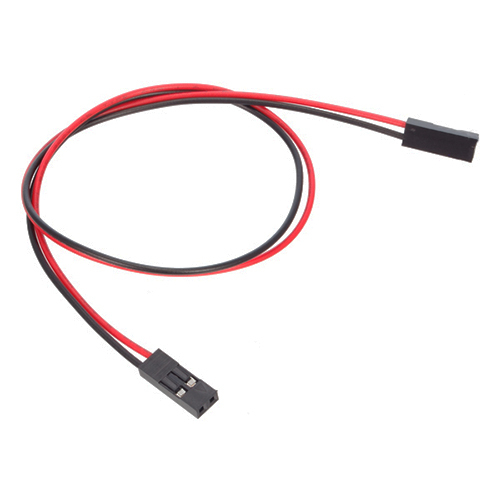 Quick Spec Value: 10k Ohm Tolerance: 5% Material: Carbon Film Shipping List ..
JST-PH (2mm) 2 Pin SMD Connector (4 Pack) This is a thin, low-profile 2.0mm pitch connector 8.0mm in height after mounting and 5.5mm in width. It is designed to meet the demand for high-density conne..
Resistor 330K 5% (50 Pack) We sell our 330K Resistors in a pack of 50. They have a 5% tolerance. Quick Spec Value: 330K Tolerance: 5% Material: Carbon Film Shipping List ..